Add warmth and sophistication to your outdoor relaxing area with one of our superb outdoor gas fire pits. These are high-end units that are expertly built and easy to use. They provide the perfect amount of heat to an ample area. Not only do they add warmth and light, but they provide ambiance and a peaceful mood. Gather several relaxing chairs around your fire pit, or create a large sectional sofa that surrounds the fire pit. Make it the focal point and your outdoor space will be complete. 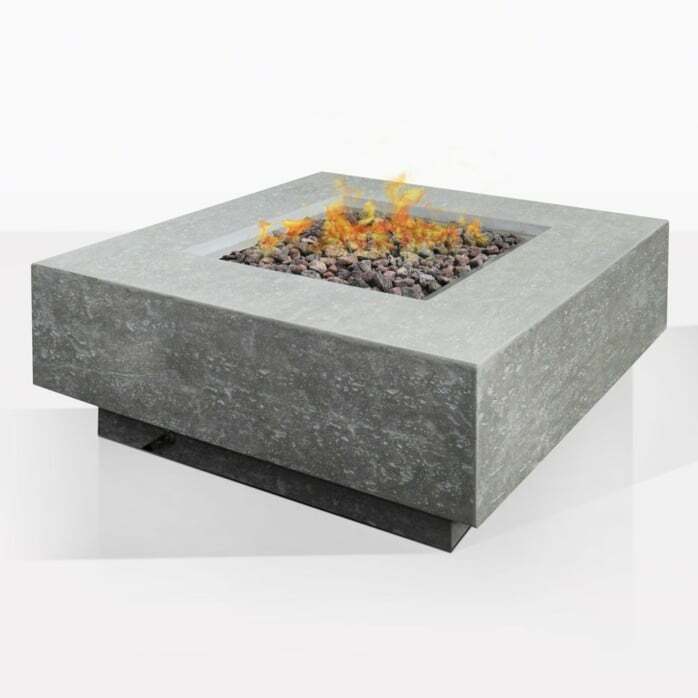 This Gas Fire Pit is capable of connecting to your gas, or you may hook it up to a refillable propane tank. If you choose to do this, then be sure to check out our concrete tank covers that will also act as a modern side table. If you choose to connect it to your gas then you must hire a professional gas fitter to help you install it. Call us to learn more, or visit our showroom to experience this amazing piece.